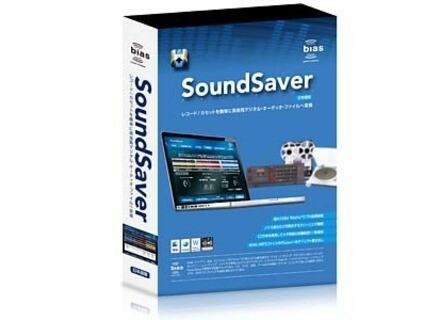 SoundSaver, Audio restauration software from BIAS. BIAS released SoundSaver — a new software solution for Mac and Windows computing platforms designed to streamline the process of converting and restoring LPs and tapes. User interface — SoundSaver uses a step-by-step tab-based approach. Audio connection cable included in boxed "kit" edition — The boxed "kit" edition of SoundSaver includes a free 6' RoHS-compliant stereo mini to dual RCA cable — to connect a computer to most common devices such as turntables, stereo receivers, tape decks, and more. Additional adapters can be added easily for other connections. Automatic track defining, labeling, and export to iTunes — While SoundSaver offers manual track marking during and/or after recording, it also offers an "Auto-define Tracks" feature. Once a recording is made, tracks may be automatically defined with a single click in most instances and track markers can be adjusted if needed. Track names, album titles, artist info, and more may be automatically applied by connecting to the internet and entering the album name. SoundSaver can then export the individual tracks as MP3, as uncompressed WAVE files, or directly to iTunes. For users of other portable media players, users can export their tracks and import them accordingly. Free 14-day Trial & Tutorial Video — A free 14-day trial is available for download from the BIAS web site, along with a tutorial video for those wishing to get a nice overview of the product's features, highlights, and remarkable usability. 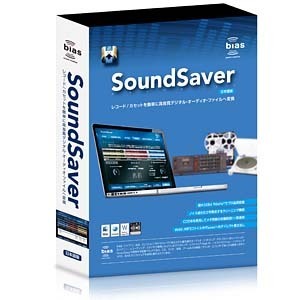 SoundSaver is available now for purchase through authorized BIAS resellers worldwide and directly from BIAS at an introductory suggested retail price of $49.95 US (download edition without the RoHS-compliant audio cable also available). BIAS is also offering special limited time incentives for existing owners of USB turntables and tape decks manufactured by companies such as Alesis, Audio Technica, Crosley, Denon, DJ Tech, Gemini, GEM Sound, Grace Digital, ION, Numark, TEAC, Technics, and others. Cakewalk Sonar X1 Now Shipping Cakewalk announces that Sonar X1 is now shipping and available the world over from Roland distribution partners and via the cloud at Cakewalk.com. discoDSP KeyPad TouchOSC + OSCulator template KeyPad is a Global purpose OSC iPad controller template for TouchOSC and OSCulator. Detunized Christ Mass Rally 555 Detunized.com now offers all Live Back Packs, Reason Refills and Directwave Banks for 5.55 Euro.